GRW angular contact bearings (spindle bearings) are single-row bearings with either the inner or outer ring land reduced. Bearings are designed to loaded both axially and radially; the direction of the applied axial load is shown by a “V” marking on the outer ring. GRW angular contact ball bearings are designed for applications requiring precision while carrying high loads combined with high speeds, such as high speed machining spindles. The axial play is the measured value in which one bearing ring can move axially in relation to the other with no applied load. GPA stands for noise testing in the axial direction. Similar to the GPR test, the axial vibrations measured by the GPA vibration meter identify the shape and surface properties of raceways and balls in the bearings. GPA testing measures vibration noise in four distinct frequency ranges as compared to two frequency ranges for the GPR test. The amount of movement or ‘peak to peak displacement’ value is also recorded. The cumulative total of these distinct measurements provides a direct understanding of the ball bearing’s running behavior. As with the GPR test, standard reference oil is used to eliminate the variable effects of different lubricants. GRW have decades of experience in the sourcing of components of the highest quality; they ensure their ball bearing assemblies deliver the maximum performance by mounting the bearings into these components within their R10,000 / Class 7 cleanroom, the assemblies are tested and packed within the cleanroom to guarantee consistent, top quality assemblies EVERYTIME. Using adhesives to mount bearings under axial pre-load is a cost effective way of eliminating play within the assembly; with the use of GRW’s specialist gluing equipment, GRW can achieve highly accurate assemblies with controlled levels of stiffness. For these special designs, the raceway of the outer ring is ground directly into the housing. Complex housings, flanges and threaded mounting holes maintain the tight tolerances necessary for proper installation. As a standard, 100 % of GRW ball bearings are noise tested. Besides this standard testing, the following tests are available: axial vibration tests, torque test and preload measurement. These tests ensure the uniformity of the production run and compliance with customer requirements. All functional tests carried out by GRW take place in a class R10,000 cleanroom (ISO 14644-1, class 7). The functional test method is always selected to simulate the intended use of the bearing. See also Bearing Assemblies. GRW have decades of experience in the sourcing of components of the highest quality; they ensure their ball bearing assemblies deliver the maximum performance by mounting the bearings into these components within their R10,000 / Class 7 cleanroom, the assemblies are tested and packed within the cleanroom to guarantee consistent, top quality assemblies EVERYTIME. GRW can produce single or double-row bearings with a spherical faced or grooved outer ring and also can provide moulded and plastic rubber type assemblies. GRW profiled roller ball bearings are double-row angular contact ball bearings with an outer ring profile. GRW offers profiled roller ball bearings and rails in both standard and special designs. GRW profiled roller ball bearings are designed in a way that is comparable to double-row angular contact ball bearings; for this reason, they are able to take axial loads in both directions, as well as high radial loads. On request, other contact surface designs are available (e.g. V groove, spherical outer ring, etc.). See also Circlips. GRW manufacture both bore retaining rings and shaft retaining rings. Retaining rings are used to locate bearings on shafts or in housings, they can withstand reasonably light loads in an axial direction. With these applications, it is important to ensure that the face of the retaining ring does not touch the corner radius of the bearing. In this instance GRW recommend the use of a shim between the bearing ring and the retaining ring. Made of cold-drawn spring wire, GRW retaining rings are corrosion resistant, are free of burrs and have an extremely constant cross-section. To guarantee a uniform fit of bearings on the shaft and in the housing, it is imperative to control diameter tolerances of the bearings. It is very difficult to control very small tolerances in a production run; therefore, sorting of the rings may be necessary. Only bearings in quality grades P5 and ABEC5 or better can be sorted into groups of 2.5 µm (.0001 inch) or 1.25 µm (.00005 inch). The diameters of the shaft and housing must also be accurately measured and sorted to match. See also Bore retaining & shaft retaining rings. GRW manufacture both bore retaining rings and shaft retaining rings. Retaining rings are used to locate bearings on shafts or in housings, they can withstand reasonably light loads in an axial direction. With these applications, it is important to ensure that the face of the retaining ring does not touch the corner radius of the bearing. In this instance GRW recommend the use of a shim. Made of cold-drawn spring wire, GRW retaining rings are corrosion resistant, are free of burrs and have an extremely constant cross-section. Integrated ball bearing shields and seals that provide two vital purposes: to prevent dirt and foreign particles from infiltration and to prevent lubricants from leaking out. Sometimes the use of conventional lubricants is impossible especially in applications where there is exposure to extremely high or low temperatures, ultra-high vacuum, or in close proximity to optical systems. The solution in these cases may be special coatings with gold, silver, MoS2, or Teflon®. These thin layers act as a dry film lubricant. Development of this technology has made applications possible even at temperatures of -270 °C to +400 °C or in a high vacuum. Protection against wear is also an advantage of using thin coated bearings. Raceways, balls, or outer surfaces can be thinly coated to meet each application’s requirements. Possible uses for these types of coatings are profiled rollers, paper cutting blade wheels, bearings used in chemical or food processing industry, medical instruments, aerospace and vacuum technology. As each coating can be applied by a variety of technologies, GRW will work with each customer to select the optimum coating process to meet your application requirements. See also Coated bearings. Sometimes the use of conventional lubricants is impossible especially in applications where there is exposure to extremely high or low temperatures, ultra-high vacuum, or in close proximity to optical systems. The solution in these cases may be special coatings with gold, silver, MoS2, or Teflon®. These thin layers act as a dry film lubricant. Development of this technology has made applications possible even at temperatures of -270 °C to +400 °C or in a high vacuum. Protection against wear is also an advantage of using thin coated bearings. Raceways, balls, or outer surfaces can be thinly coated to meet each application’s requirements. Possible uses for these types of coatings are profiled rollers, paper cutting blade wheels, bearings used in chemical or food processing industry, medical instruments, aerospace and vacuum technology. As each coating can be applied by a variety of technologies, GRW will work with each customer to select the optimum coating process to meet your application requirements. The contact angle is the angle between a plane perpendicular to the ball bearing axis and a line joining the two points where the ball makes contact with the inner and outer raceways. In a load-free condition, the contact angle is called the nominal contact angle.The contact angle of a ball bearing is determined by its radial play which is in turn controlled by the internal geometry: Inner and outer track diameters and curvatures also the selected ball diameter. The contact angle under load is called the operating contact angle. Deformations of a defined size occur at the contact points between balls and raceways. Deep groove radial bearings are designed to take both axial and radial loads in general they have a relatively small contact angle compared to angular contact (spindle bearings) that are designed to take higher axial loads; they have a higher contact angle but can only be axially loaded in one direction; as always accurate bearing alignment is of the utmost importance. GRW deep groove ball bearings are suitable for use at both low speed with high sensitivity to torque and at very high speeds. They absorb radial and axial forces. Typical applications for GRW deep groove ball bearings: electric motors, fans, and encoders requiring long life, flowmeters, gyro gimbal bearings requiring very low starting torque, aerospace, deep space and vacuum instruments requiring special lubrication and coatings, dental and medical requiring high corrosion and chemical resistance, packaging and can making requiring high loads and free running. Deep groove ball bearings are the standard production for GRW and are more than adequate for the majority of applications. GRW deep groove ball bearings are suitable for use at both low speed with high sensitivity to torque and at very high speeds. They absorb radial and axial forces. Typical applications for GRW deep groove ball bearings: electric motors, fans, and encoders requiring long life, flowmeters, gyro gimbal bearings requiring very low starting torque, aerospace, deep space and vacuum instruments requiring special lubrication and coatings, dental and medical requiring high corrosion and chemical resistance, packaging and can making requiring high loads and free running. With ball bearings there are two types of deformation to distinguish: axial and radial elastic deformation. Axial elastic deformation of a ball bearing is the distance that the inner ring moves axially relative to the outer ring when the axial clearance of the ball bearing has been removed and an increasing axial load has been applied. This value does not increase linearly with increasing axial load; rather the contact ellipses between balls and raceways become larger as the load increases. Similarly, radial elastic deformation is caused by a radial load component after radial clearance has been removed. Under otherwise identical conditions, with a small contact angle, the radial elastic deformation is considerably less than the axial elastic deformation. With an increasing contact angle, the radial yield increases while the axial yield decreases until both values become roughly identical at approximately 35°. Both types of deformation depend on the internal geometries of bearing, the existing radial clearance and applied load. According to DIN ISO 281, the basic dynamic load rating (Cr ) for radial ball bearings is the constant radial load at which a sufficiently large group of apparently identical bearings can endure one million revolutions before showing evidence of material fatigue. GRW Extra duplex bearings are double-row deep groove radial bearings or angular contact ball bearings with a split inner or outer ring. One floating ring is accurately preloaded and then laser-welded in place. This style of bearing prevents radial offset or changes in axial preload during assembly. Among other factors, the fit of the bearing on the shaft and in the housing significantly affects the operational behaviour of miniature ball bearings. When selecting fitting tolerances the following criteria should be considered: rotation conditions, running accuracy, loading and temperature. The rings of minature ball bearings are suseptable to deformation, it is therefore imperative that the correct recommended interference fits are used and that the components are perfectly round. Using miniature and instrument bearings with a flange on the outer ring offers several advantages. It is very difficult to machine and achieve the accurate alignment of both bearing housing diameters in a stepped bore. Using flanged bearings at each end of the housing, the bore can be a “through bore” which eliminates this problem and reduces the need for circlips. Flanged bearings assembled in narrow housings, such as gearboxes, are particularly effective. With paired bearings and duplex bearings it is possible to produce a cartridge that contains a pre-loaded pair that is located axially using one flanged bearing and one unflanged bearing. The use of a flanged bearing simplifies the assembly and alignment of the bearing. This allows for the accurate axial positioning of the Duplex bearing pair. Grease is oil with the addition of a thickener and in many cases other addatives, it has the ability to replenish the lubricating film over the lifetime of the lubricant, it is therefore preferred as the standard lubricant for GRW’s sealed and shielded bearings. GRW have around 300 different greases to select from and can offer advice regarding the type of lubricant, the amount and the method of it’s application. The standard recommended amount of grease (lubricant quantity) is one-third (33 %) of the free volume within the bearing; different quantities can be supplied to suit the application; quantities are indicated in the bearing reference in percent or in milligrams. Furthermore, our customers can choose other special treatments for grease applications, for example a dispersion or a thin defined layer of grease. Here the designation system differentiates between TF (thin film), MF (medium film) and SF (strong film). In some applications it is desirable to lubricate the bearing from both sides. GRW provide the very best in precision ball bearings and ball bearing assemblies. GRW have an extensive knowledge of precision ball bearings, skillfully producing, consistently high quality products. Combining this with Principle Engineering’s focus on delivering customer satisfaction, it ensures the very best design outcomes for our valued customers. GRW ball bearings are manufactured noise tested and packaged with extreme care to avoid contamination, corrosion, and other external influences on the bearings; this ensures the bearings reach you the customer in perfect condition, they are precision instruments in their own right and should be treated as such. All personnel should be aware of the correct assembly methods and they should be provided with the correct, well maintained assembly tools to ensure the maximum performance from the bearings when fitted. Please download our simple basic guide to handling bearings. Full ceramic bearings are ideally suited for extreme applications. Zirconium oxide (ZrO2) and silicon nitride (Si3N4) are typical materials used for rings and balls, both materials provide excellent corrosion and chemical resistance as well as the ability to operate at extreme temperatures; both high and low. The materials are also non magnetic which can be an advantage. Care should be taken when selecting all ceramic and hybrid bearings as they are not the panacea they are sometimes made out to be. GRW hybrid bearings are a combination of steel rings Zirconium oxide (ZrO2) and silicon nitride (Si3N4) balls. typical materials used in all GRW hybrid and ceramic bearings, both materials provide excellent corrosion chemical and electrical resistance as well as the ability to operate at elevated temperatures. The hybrid construction with dissimilar materials is highly resistant cold micro welding, in particular, where there is low adhesive wear; especially useful in the case of lube deprivation. In high speed applications the lower mass of ceramic balls in comparison to steel reduces the centrifugal force and hence reduces wear and increases life time. Duplex bearings are configured depending on the application in one of four ways, referenced: O (back to back), X (face to face), Tandem (in line), Universal can be configued in either of the aforementioned. Duplex O (<>) arrangement: Back to back; designation –1 and DB for spindle bearings: With this bearing configuration, the inner rings are designed to be clamped together. The contact angle load path between the outer ring raceway, the ball and the inner ring raceway diverge, which results in maximum stability and stiffnes; radial and axial loads can be taken in both directions. Duplex X (><) arrangement: Face to face; designation –2 and DF for spindle bearings. With this bearing configuration, the outer rings are designed to be clamped together. The load paths converge resulting in lower stiffness against moment loading; this design gives more conformity and allows small degrees of misalignment of the assembly. Radial and axial loads can be taken in both directions. Tandem (>>) or (<<) arrangement; designation –3 and DT for spindle bearings. The tandem-mounted bearing design is capable of taking a significantly higher axial load, but only in one direction; it is possible to use more than two bearings in tandem. With the tandem arrangement, control of axial play can only be achieved by preloading against another bearing or bearings. General: Bearings with: Back to back and face to face are packed and used in pairs or sets, these sets must not be mixed as they are machined to micron accuracy. Universal: Designation –4 and U for spindle bearings. Universally matched bearings have a significant advantage compared to the duplexed pairs mentioned above, they are individually ground in such a way that they can be assembled in various pairing configurations, e.g. X, O, or tandem without any loss in performance. With the same preload, these single bearings can be interchanged; they are sold as single bearings and are useful in applications where both face to face and back may be used; they are however more expensive as the face grinding to produce such bearings is considerable. Bearing and shaft can be combined to provide an integrated assembly. In this design the raceway is ground on the shaft; GRW are able to supply this as a precision bearing assembly, delivered with the outer ring completely assembled ready to use. It may also be possible to offer a precision bearing assembly with the raceway produced on the inner of the housing though this is more tricky; GRW Engineers will be happy to discuss specific applications. GRW support their customers with a full technical backup, they are able to evaluate bearings that have been run in applications and can advise on future design changes should they be required; bearings can only be evaluated providing they have not been destroyed, part run bearings will always give more information. GRW also offer their laboratory services as separate service: Analysis of materials, advice on surface treatment, expertise with demanding procedures such as FTIR spectroscopy and ATR technology or the functional and decorative gold plating of components. Various mechanical and kinematic factors impact the maximum operational speed of a bearing. The following factors can have an effect on the limiting speed: • Retainer load • Noise • Rolling kinematics • Lubrication • Heat generated by friction and the environment • Inner ring slippage and radial play reduction; NOTE: Limiting speeds in the catalogue can be increased by changing such things as cage design. Bearing “L-10 Rating life” is the bearing life calculated for 90% reliability. This is the amount of time that a group of apparently identical bearings will complete or exceed before the formation of a fatigue spall. NOTE: All bearing life calculations are theoretical and should be treated with extreme caution. If the bearings are not used as part of a precision assembly and the mating parts are not to a similar precision then this will have a direct effect on life. GRW produce many 1000’s of precision ball bearing assemblies using their own sourced components; they would be happy to talk to you about your specific needs. Miniature ball bearings are perfect for high stress environments, in the majority of cases, standard oils and greases work well, they form a layer between the moving part of the ball bearing thus reducing sliding friction between balls, rings and retainer. This prevents excessive wear and thermal overheating, protecting balls and raceway from micro-welding and thereby extending operational life while reducing running noise. Some applications require special lubricants and or lubrication processes. GRW have a vast amount of experience in both conventional oils and greases and in solid lubrication such as: lead, gold, silver and mulibdenum disolfide to name but a few. GRW ball bearings are manufactured by using technological advancements in steel production and heat treatment. Our ball bearings are made of chrome steel (100Cr6), stainless steel (X65Cr13), or high corrosion resistant steel (X30CrMoN 15-1). It is now possible to achieve comparable load ratings for all these steel types. Ceramic balls, e.g. hybrid ball bearings, can be used in all versions as required by your application. In the GRW numbering system GPR designates 100% noise testing. Using highly sensitive noise testing equipment, the amplitude of the vibrations generated by the miniature bearings is measured at specified speeds and frequencies. This method detects imperfections, such as ball or raceway defects and isolates their root cause. This noise test is carried out in a class R10,000 cleanroom in accordance with ISO 14644-1, class 7. A standard reference oil is used to eliminate the variable effects of different lubricants. Duplex bearing O (<>) arrangement: Back to back; designation –1 and DB for spindle bearings: With this bearing configuration, the inner rings are designed to be clamped together. The contact angle load path between the outer ring raceway, the ball and the inner ring raceway diverge, which results in maximum stability and stiffness; radial and axial loads can be taken in both directions. Duplex bearing X (><) arrangement: Face to face; designation –2 and DF for spindle bearings. With this bearing configuration, the outer rings are designed to be clamped together. The load paths converge resulting in lower stiffness against moment loading; this design gives more conformity and allows small degrees of misalignment of the assembly. Radial and axial loads can be taken in both directions. Duplex bearing tandem (>>) or (<<) arrangement; designation –3 and DT for spindle bearings. The tandem-mounted bearing design is capable of taking a significantly higher axial load, but only in one direction; it is possible to use more than two bearings in tandem. With the tandem arrangement, control of axial play can only be achieved by preloading against another bearing or bearings. Duplex bearing universal arrangement: Designation –4 and U for spindle bearings. Universally matched bearings have a significant advantage compared to the duplexed pairs mentioned above, they are individually ground in such a way that they can be assembled in various pairing configurations, e.g. X, O, or tandem without any loss in performance. With the same preload, these single bearings can be interchanged; they are sold as single bearings and are useful in applications where both face to face and back may be used; they are however more expensive as the face grinding to produce such bearings is considerable. 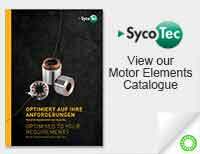 Oil is primarily used in applications where a minimal torque is required. Lubrication serves a number of purposes: It creates a boundary surface between the moving parts, it helps reduce the build up of heat, it reduces friction and in some case washes away debri. 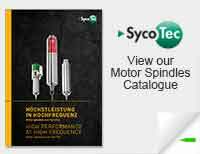 In particular, high speed spindle bearings are typically lubricated with high performance oils. When compared to grease lubrication, oil lubrication sometimes uses a dispersion of oil and a solvent to achieve a better distribution of oil throughout the bearing. With more than 100 special oils to choose from, GRW can help you to select the oil that perfectly matches your application. If no special lubrication is needed, all of GRW’s bearings whether open or shielded, are preserved with light instrument oil when they leave our factory; in general: Open bearings (bearings without shields or seals) are oiled and bearings with shields or seals are greased.unless requested otherwise. Orakel III is an automated, stand alone test module for performing cyclic loading on dental and surgical turbine hand-pieces. The test module developed by GRW only requires: Electric power and compressed air, it tests the lifetime of high-speed dental hand-pieces, allowing for fast and efficient comparisons against previously determined reference points. Evaluation of the performance characteristics in respect of the mechanical load cycle and test criteria is reproducible. Calibration, test parameter settings and documentation of results are carried out on a commercially available PC. Easy documentation for each cycle is stored and this can be written into a text file. Correct packaging protects bearings from contamination, corrosion and damage during transport and storage. GRW’s bearings are packed within the clean area; it is recommended that bearings are used directly from unopened packs; if a pack has been opened and not all the bearings used then either the pack should be re-sealed or a clean container. Each bearing package is labeled with the exact design specification and the respective product lot number, factory batch number, and the packaging date of the bearing. GRW manufactures precision components to micron accuracy, such as: spacers and precision components that incorporate threads, steps, grooves, bores, etc. Repeatability is the key to success; GRW use these components to build the required precision ball bearing assemblies their customers demand. See also GRW bearings with profiled outer rings. GRW offer a range of profiled roller ball bearings are double-row angular contact ball bearings with an outer ring profile, these can be used with as transport rollers. 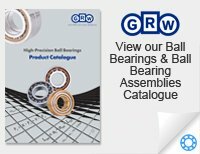 GRW offers profiled roller ball bearings and rails in both standard and special designs. GRW profiled roller ball bearings are designed in a way that is comparable to double-row angular contact ball bearings; for this reason, they are able to take axial loads in both directions, as well as high radial loads. On request, other contact surface designs are available (e.g. V groove, spherical outer ring, etc.). GRW quality is internationally certified as DIN EN ISO 9001. GRW is an international enterprise specialising in development and production of high-precision miniature ball bearings and ball bearing assemblies. Their integrated management system is based on DIN EN ISO 9001:2008 and is certified in four specific areas: 1. Organisational Manual 2. Key Performance Indicators (KPI) 3. Process Definitions and Defined Responsibilities 4. Process Control Documentation (work and test instructions) including supporting documents. GRW maintain their highly respected reputation for high quality and repeatability by continually improving their products and processes and working with customers and suppliers. “Radial play is the measurement of the total movement of one ring relative to the other in a plane perpendicular to the bearing axis. In selecting the appropriate radial play, the fit of the bearing on the shaft and in the housing is of particular importance. Classification of allowable radial play tolerance in GRW bearings. The GRW catalogue on the inside page shows the designation system used by GRW: Radial play can be defined as: C followed by a digit (for metric bearings) will define a range in mirons, C followed by two digets separated by a / will define the limits of play in microns or K followed by two digits (for imperial sized bearings) will define the play in tenths of one thousanths of an inch. Note: Changes in radial play will directly affect the axial play and contact angle. The two most common causes of radial play reduction are: Press fits on shafts or in housings and diffential expansion or contraction with disimilar materials. It is a common myth that people think when a bearing is pressed into a softer material such as aluminium the teel bearing with not move THIS IS NOT THE CASE, equally when aluminim shrinks due to change in temperature it will reduce the outside diameter of a steel outer ring of a bearing. GRW can calculate the reduction in both these cases and a bearing with a higher radial play can be used to take this into account. The following factors have direct influence on changes in radial play: • Temperature gradients within the bearing or materials with different temperature coefficients. • Shaft and housing fits. • Speed related Centrifugal forces. The thermal reference speed (nθr ) defines the speed of the inner ring at which a balance is achieved between the heat generated in the bearing by torque and the heat flow dissipated through the shaft and housing. Retainers are vital for efficient operation of ball bearings. They keep the balls separated and evenly spaced, ensuring a uniform distribution of load and thereby reducing heat while enhancing the bearing life expectancy. The retainer guides the balls in the load-free zone and prevents the balls from dropping out of separable bearings. Using customised designs and materials, retainers can be manufactured to meet most applications. The two-part ribbon retainer is used by GRW for the majority of standard applications. In some cases bearings are also supplied without retainers; these are often referred to as “full of balls” they are generally used in high speed and or high load applications where the balls will separate themselves due to centrifugal force. GRW manufacture both bore retaining rings and shaft retaining rings. GRW retaining rings are manufactured from cold drawn corrosion resistant steel wire, they are free from burrs and have an extremely constant cross-section. Retaining rings are used to locate bearings axially on shafts or in housings, they can withstand reasonably light loads in an axial direction. With these applications, it is important to ensure that the face of the retaining ring does not touch the corner radius of the bearing. In this instance GRW recommend the use of a shim between the retaining ring and the bearing face. Accuracy of shaft and housing is absolutley critical to ensure optimum running in precision ball bearing assemblies; squareness of shoulders should accurately allow axial load to be transferred to the inner and outer rings without permitting the rings to tilt, the shoulder should be of sufficient diameter to support the ring but encroach on the bearing shields or seals, if bearings are to be located against a larger shoulder, shimming should be used as a “stand off”. See also Retaining rings, shafts circlips, bore retaining rings. GRW manufacture both bore retaining rings and shaft retaining rings. GRW retaining rings are manufactured from cold drawn corrosion resistant steel wire, they are free from burrs and have an extremely constant cross-section. Retaining rings are used to locate bearings axially on shafts or in housings, they can withstand reasonably light loads in an axial direction. With these applications, it is important to ensure that the face of the retaining ring does not touch the corner radius of the bearing. In this instance GRW recommend the use of a shim between the retaining ring and the bearing face. High precision, burr free shims are critical in applications where axial tolerances need to be controlled. GRW shims are made of corrosion resistant steel, they are heat-treated, burr-free, and have an extremely fine surface finish. GRW develops and produces a complete range of custom bearing options, they are able to assist their customers with bearing and assembly design for a vast range of applications from the simple to the extreme: SUPER DUPLEX BEARINGS, EXTRA DUPLEX BEARINGS, TANDEM DUPLEX BEARINGS, BEARINGS WITH CUSTOM OUTER GEOMETRIES, INTEGRATED SHAFT BEARINGS, BEARING / HOUSING ASSEMBLIES, PRECISION COMPONENTS and BALL BEARING ASSEMBLIES. GRW work with trusted sub-suppliers so size and complexity is not an issue. GRW are experts in special installation of miniature ball bearings including Flanged bearings, Bearings with extended inner rings and Bearings with reinforced outer rings. The GRW Speedmaster is a noncontact speedmeasuring device designed especially for highly rotating instruments such as those used in the dental industry and other high-speed applications such as motors or high-frequency spindles. GRW angular contact bearings (spindle bearings) are specifically designed to take the high loads and high speeds demanded of high speed spindle routing and drilling. They are mainly single-row ball bearings with either the inner or outer ring land reduced they can be subjected to both radial and axial (in one direction) loads. The direction of the applied axial load is shown by a “V” marking on the outer ring. These bearing can be supplied in a number of variants. GRW spring washers are used as a resilient way of axial preloading of ball bearings, they are produced in sizes to suit miniature and small ball bearings. Additional finishing with highly accurate preload tolerances can be implemented for special applications. GRW spring washers are generally made using corrosion resistant steel, they are heat-treated, burr-free, and have an extremely fine surface finish. As a standard feature, GRW spring washers have 3 waves to ensure even support of the bearing during axial preloading. GRW Superduplex bearings are a precision ball bearing assembly that consists of three bearing rings, usually an outer ring with two raceways ground on the inner diameter, and two inner rings with a single raceway ground on each, the two retainers and two sets of balls are assembled to create the super duplex assembly which has been machined to ensure the either the axial play has been reduced and or a pre-load is applied. The super duplex bearing is easy to handle and uses the minimum space envelope, the hard pre-load creates a very precise assembly. Tandem duplex bearings are designed with double-row deep groove bearings. The raceways are extremely close to each other (in the micron range). These bearings are designed to handle both radial loads and axial loads in one direction by ensuring that the load is evenly distributed to all balls in both bearings. Thin-section bearings have very thin ring cross-sections (light ISO dimension series 67/68) or bearings with identical cross-sections, independent of their bore diameter. With a small footprint and low weight, GRW thin section bearings are characterised by low torque and high rigidity. The tilting angle of a bearing is the relative angle to which the inner and outer rings of a bearing can be tilted. The amount of tilt depends on the radial play and the internal geometry of the bearing. Tilting of the rings should generally be avoided. Even small tilt angles of 2° or 3° may result in increased bearing noise and reduced life. It is critical to place close attention to machining tolerances of mating assembly components to assure proper bearing alignment. “GRW bearings conform to the applicable ISO (International Organisation for Standardisation) and ABEC standards (Annular Bearing Engineering Committee). For metric size bearings, tolerances comply with ISO quality P0 to P2 (P2 = highest tolerance) and for inch size bearings according to ABEC quality standards ABEC1 to ABEC9 (ABEC9 = highest tolerance). GRW offer their customers special ball bearings with the new coating system XTRAcoat. The coating developed exclusively for GRW equips the ball bearing components with the special capability to bind the applied grease to surfaces, and therefore to prevent as far as possible an insufficient lubrication situation from occurring; even under adverse operating conditions, this leads to a significantly higher service life, even in extreme cases where hygienic cleaning is done and maintenance is omitted.the XTRAcoat was originally developed for extreme conditions in hand-pieces of medical and dental equipment and was so successful GRW have now made it available for use. XTRAlon is a material designed for GRW for the most demanding requirements in terms of friction, thermal stability and wear. The unique production method involving the chemical binding of solid lubricant to the base polymer polyamidimide (PAI) creates a homogeneous, dense fabric, which offers little opportunity for attack by the superheated steam during autoclaving. The fine distribution of solid lubricant and the chemical bond to the base material means that the exceptional property of dry-running suitability is obtained, even in extreme applications where idle speed of n x dm > 1.000.000 mm/min are the norm. In internal tests on GRW’s own test rigs, service lifetimes of up to 15 hours were attained with completely dry ball bearings. All conventional retainer materials fail after only a few minutes in the same test. For the toughest operating conditions in special applications, GRW relies on developing its own lubricants, which have the potential for significantly longer life: XTRAlube. The new XTRAlube developed in the GRW laboratory delivers outstanding results both in the test criteria which GRW considers crucial and in the various functional tests. It also has the special ability to adhere to the contact surfaces of the inner ring and outer ring much better than standard greases. In the specific case of ball bearings for dental turbines this property is particularly sought after, because the air extracted from the turbine flows partly through the ball bearings and transports the grease reservoir to the outside very rapidly. This leads to a situation of inadequate lubrication, which is responsible for the failure of the ball bearings. GRW customers benefit from our XTRA bearings: • Silent bearings ensure a more pleasant work in the dental field and any other application • The high product reliability of GRW XTRA bearings ensures longer life time and reduces costs. • Higher idle speed. • GRW XTRA makes ball bearings resistant and more durable despite poor care, extreme temperatures and highest speeds.